Atlanta – Nov. 29, 2017 – As plans for Buckhead’s community centerpiece continue, the Buckhead Community Improvement District (BCID) today announced the formation of the Atlanta’s Park over GA400 volunteer Steering Committee designed to serve as an advisory group to project leadership during the proposed park’s planning phase. The nine-member committee will eventually advise a soon to be launched nonprofit entity that will manage next-stage planning, fundraising, permitting, relationship building and construction of the park. Since July, BCID has worked with its project partners, ROGERS PARTNERS Architects+Urban Designers and Nelson Byrd Woltz Landscape Architects, to develop a detailed plan to name the park, create a nonprofit entity to manage construction and operations, and prepare for the design, engineering and permitting phase, which is planned to begin in January 2018. The goal is to have community involvement throughout the process. “Ground-making” for the project is planned for 2020 and the park is projected to open by 2022, and be fully operational by 2023, significantly reducing previous timelines by 12 to 24 months. The yet-to-be-named “Atlanta’s Park over GA400” will create nine acres of elevated green space in Buckhead, which currently has the least amount of public park space per capita in the city of Atlanta. 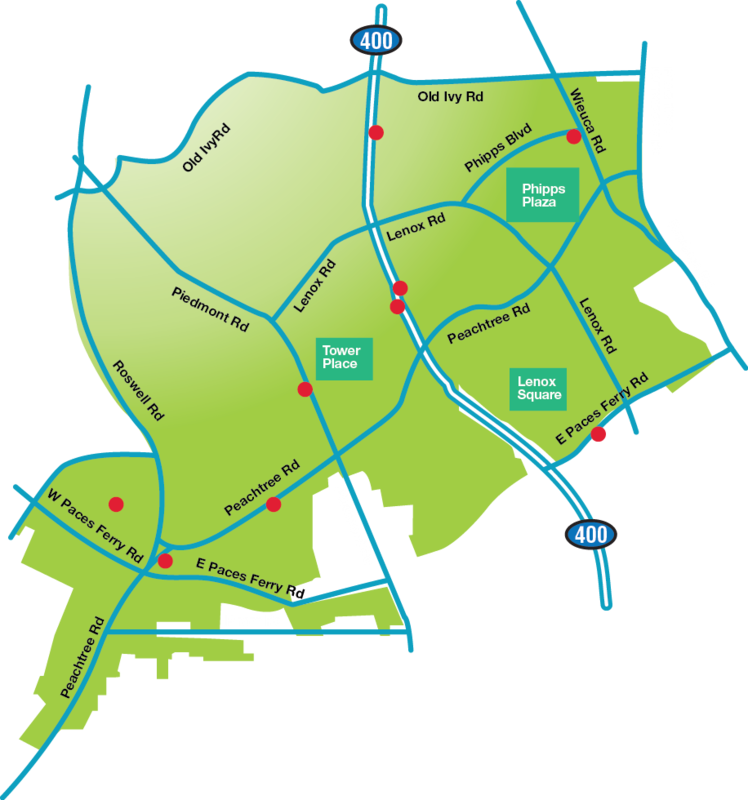 Located at the remarkable confluence of Georgia 400, Peachtree Road, PATH400 and the MARTA redline, the park will provide vast and unique regional connectivity. The new park will be a crucial link and destination on the soon-to-be-completed PATH400, a 5.2-mile greenway currently under construction. To access hi-res images of the park, please contact Maggie McDaniel below or please click to see a 360-degree immersive video rendering of Buckhead’s world class linear public park.